RNZB dancer Abigail Boyle. Photo by Ross Brown. 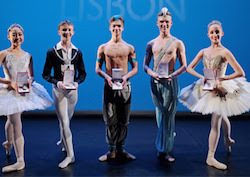 Genée International Ballet Competition Winners Lin Fujimoto, Matthew Maxwell, Harris Beattie, Ryan Felix and Lucy Christodoulou. Photo by Bruno Simao. The medallists of Royal Academy of Dance (RAD)’s prestigious Genée International Ballet Competition have been announced. The final, held on 16 September, in Lisbon, Portugal, saw 11 dancers from Australia, Japan, New Zealand and the United Kingdom compete for Gold, Silver and Bronze. The gold medal was awarded to British dancer Harris Beattie; silver medals were given to Australian dancers Lucy Christodoulou and Matthew Maxwell; and bronze medals were awarded to British dancer Ryan Felix and Japan’s Lin Fujimoto. The RAD has announced that the 2018 Genée will be held in Hong Kong. In celebration of its 50th year, the New Zealand School of Dance (NZSD) has successfully launched a book, presented an acclaimed contemporary solo season ONCE, and will now conclude with its 50th Anniversary Graduation Season at the St James Theatre in Wellington, 24-25 November 2017. The 50th anniversary celebrations have recognised the importance of alumni who are now successful practitioners and artists. Their works are included in this year’s Graduation programme: The Bach (Michael Parmenter), Forgotten Things (Sarah Foster-Sproull) and Curious Alchemy (Loughlan Prior). 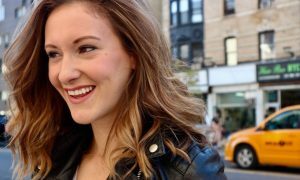 NZSD current students will not only be working with graduates but also alongside dancers from the Royal New Zealand Ballet. This programme of ballet and contemporary dance celebrates the school’s rich heritage and looks forward to a promising future. Tickets are available at www.nzschoolofdance.ac.nz/events/50th-anniversary-graduation-season or ticketek.co.nz. NZDC in ‘LOST + FOUND’. Photo by Carol Brown. 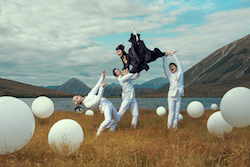 The New Zealand Dance Company (NZDC) has a collaborative performance with Carol Brown at this year’s Tempo Dance Festival, which takes place from 6-7 October. In hidden and unknown spaces throughout Q Theatre, LOST + FOUND [dances of exile] will unfold as dancers re-enact traces of dance archives embedded in a multi-sensory installation. The performance is complimented by a documentary film that will run during the festival. The event is free to attend, but limited spots are available, so make sure to book online at www.qtheatre.co.nz/lost-found-dances-exile. NZDC Youth Spring School will run from Monday 9 October to Friday 13 October 2017. Programme runs daily from 9am-4pm, followed by a performance on Sunday 15 October at 3.30pm at Tempo. There is an opportunity for daily technique classes in ballet, contemporary and fusion/hip hop, and the chance to co-create a work with NZDC to perform as part of NZDC’s Youth Company in Tempo Dance Festival’s Ignite programme at Q Theatre in Auckland. For more information or to register, visit https://www.nzdc.org.nz/node/seasonal-schools/. RNZB. Photo by Ross Brown. The Royal New Zealand Ballet (RNZB) has announced its 2018 season, under the leadership of Patricia Barker, the second female artistic director in the company’s history. The season will bring together audience favourites and landmark repertoire from New Zealand, Europe and America, alongside expanded choreographic opportunities and continued commitment to education as the company tours to 16 centres nationally. 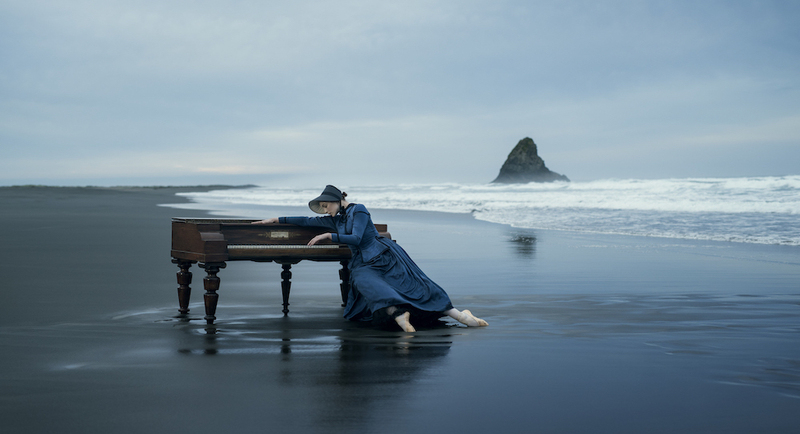 RNZB’s 2018 season will feature works by Jiří Bubeníček, George Balanchine, Jiří Kylián, Corey Baker and more. 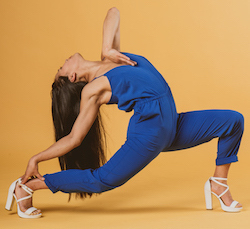 The company will present Strength and Grace: Women, a series of new commissions from female choreographers, curated by Barker and marking the 125th anniversary of women’s suffrage in New Zealand. RNZB will tour a new, traditional staging of The Nutcracker, and the company will continue its popular Tutus on Tour and Ballet in a Box programming. “The RNZB will continue to embody the elegance, grandeur, grace and strength that I have already seen in New Zealand’s landscapes and the people whom I have met,” Barker says. “We are a cultural ambassador and an important artistic export, sharing the spirit and creativity of our country at home and beyond our borders.” For booking information, visit rnzb.org.nz. Footnote dancer Anu Khapung. Photo by Caroline Atkinson Photography. 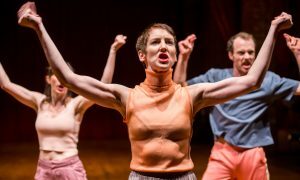 Footnote New Zealand Dance will present CONTRAST, a double-bill of new dance work by Sarah Foster-Sproull and Emma Murray, from 22 October – 11 November, at eight different venues throughout New Zealand. Footnote’s CONTRAST season will also include masterclasses, school matinees and workshops to complement performances of the double-bill. Company members include Tyler Carney, Joshua Faleatua, Georgia Beechey-Gradwell, Anu Khapung and Adam Naughton. For tickets and more information, visit footnote.org.nz/contrast-tickets-are-on-sale.